Paying for assisted living is a challenge for seniors and families. Our friends at The Dollar Stretcher share these useful tips on how to save money and where to get financial assistance. Many seniors today are on fixed incomes, and for those with failing health, the rising costs for assisted living seem impossible to keep up with. The first question that most people ask when beginning their assisted living search is how much does it cost and what sort of financial assistance exists. With prices ranging from $2000 to nearly $4000 across the country, it becomes evident that only those with expert retirement planning or long-term care insurance are truly able to pay the full street rates at these facilities. Although assisted living communities are generally private pay facilities, and Medicare and private insurances do not cover the costs, there are a few ways to reduce out of pocket expenses, and even some financial assistance programs that may help out as well. As you begin your search, here are a few things to ask for with regards to financial assistance, and saving money. Ask if the facility offers shared apartments. Shared apartments tend to offer potential residents a more affordable option when entering assisted living. Believe it or not, roommates aren’t just for college students anymore. Having a roommate can not only significantly reduce costs for room and board, but provide added companionship in the form of an “instant friend” for your loved one. Roommates provide a mutual support system for one another. Involve the family. Although assisted living communities are a form of healthcare, they are also businesses and have to charge for the services that they provide. Whether the care your loved one is receiving consists of medication management, assistance with bathing and grooming, or transportation to medical appointments, there is usually a fee associated with these services. You can save by having family members contribute with the resident’s care. This does require a commitment on the family’s part to make sure that they are consistent with their involvement. Aid and attendance is an additional amount available to eligible veterans and dependents who are entitled to VA pension or VA compensation. Veterans and widows of veterans may be eligible for Aid & Attendance benefits through the veterans administration if they meet the financial and medical requirements. If you are not an assisted living or nursing home resident, furnish a medical statement covering the findings, diagnosis and prognosis of any recent medical treatment or examination. The doctor’s statement or medical report should describe how your ability to perform the personal functions of daily living, such as dressing, feeding, bathing and attending to the needs of nature, is limited by your medical condition. It should also include the number of hours you spend in bed and describe your posture and general appearance. You may also furnish any other information indicating that you are unable to care for yourself, or walk or travel beyond your home because of your condition. You are not usually required to incur the expense of the physical examination by a private physician to receive consideration. If the detailed medical information about your ability to care for yourself is not available from the doctor’s or hospital’s current records, VA may arrange for a physical examination. Check with your local veterans benefits office for more information. Some seniors may meet the income and asset requirements to qualify for Medicaid. Although rare, in some states, there are programs where the resident pays for room and board at the assisted living facility out of their social security and Medicaid covers the costs associated with the activities of daily living, such as bathing, dressing and grooming. The idea of these programs is to keep the resident from possible institutionalization in a nursing home. Some facilities have secured VLIT bonds during their construction process, which require them to offer a certain number of apartments to low-income seniors. These low-income apartments are usually limited and rarely promoted by the facility. Can’t afford AL for the long term? Give caregivers a break by doing a respite “short stay” in a facility. There are usually grants available through various non-profit agencies for low-income residents to provide a break for caregivers. Some insurances have programs where they are contracted with certain communities to provide respite care for limited amount of time at no cost to the patient. Some assisted living communities may even match the respite grants. Reverse Mortgages. This is ideal when the situation consists of a married couple with a lot of equity in their home, and one partner becomes ill and needs more care than can be provided in the home. When only one spouse requires care, and the other is not quite ready to join them in an assisted living setting, the question becomes how can they afford to maintain the current household and also make the payments for their loved one in assisted living. 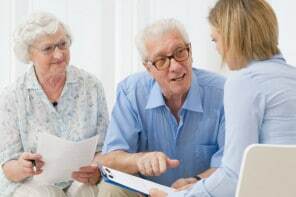 Reverse mortgages can allow the well spouse to stay in the home and take money in the form of a reverse loan to pay for the assisted care their loved one requires. Once the house is sold, the profits are used to pay off the reverse mortgage. Assisted living communities are something that no one ever thinks about until they absolutely have to, and usually it is for a loved one. Take the time to shop around. While you have to stick to what you can afford and consider costs, it is imperative that you compare services, friendliness of staff, and activities between communities to make sure you are getting the most for your money. The Dollar Stretcher has been providing time and money saving information to readers since 1996. 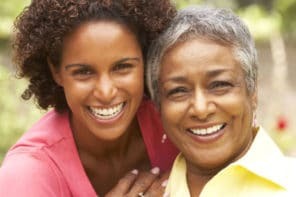 For more articles on Baby Boomers, caregiving, and retirement, check out this TDS article on Helping Elderly Relatives Save Money as well as the TDS Baby Boomer library. And sign up for the TDS “After 50 Finances” newsletter too!